When you’re looking for the funds to make ends meet, being denied for a personal loan is not the end of the world. Here are eight things to do next. If you get a notice that your personal loan application has been denied, it hurts. You made plans for that money—consolidating your debt (so you can pay it off more affordably), financing a wedding, or vacation—and now, you don't have it. With so much of your personal life at stake, it's hard to not take being refused a personal loan, well, personally. 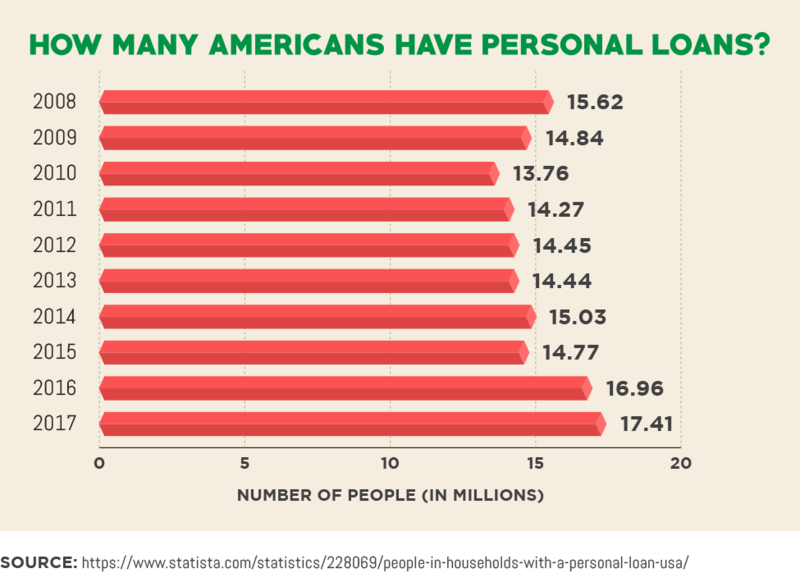 Millions of Americans apply for personal loans each year. And the number is rising each year, according to a report by Transunion. With individual credit worthiness for each applicant easier for lenders to read now, it's a safe bet that the number of refusals is also much higher, even if they're not reporting those figures. That is, you're not alone. Millions of people are likely refused personal loans each year. You don't need to give up. There are easy things you can do to reapply and not rely on dangerous "payday loans" that charge insane interest rates. Being refused a personal loan is an opportunity in disguise.It's a chance to examine your financial health and get it in order for future success. First off, it's every consumer's right to know why his or her loan was denied. Lenders must respond in writing to any request from an applicant who asks why the loan did not go through, so borrowers can take steps to clear errors or provide more information to the lender. You'll find that by knowing where it all went wrong, you'll set your personal finances up to be "right." Most personal loans refusals are based on the lender's understanding of your financial health. If you can change that perception or if you can fix your health, you'll be in good shape for a successful loan application the next time. Were you denied a personal loan? Here are some easy first steps you can take to get access to cash. In many cases, the loan rejection will include a line from the lender about the specific reason(s) your application was not accepted. If it didn't, you still have a right to that information under the Equal Credit Opportunity Act. The lender is obligated to provide you with this report. We show you how to contact your lender in the next step. These details are valuable, and it's important to find out. Applicants have 60 days to request this in writing, says Harry Langenberg of LoanNow. "Make sure you get this information!" Langenberg says. "Understanding the specific ‘red flag' that triggered your rejection is vital to solving your underlying credit problem." For example, if you know all your payments have been made on time, you have several credit cards with good payment history, and are paying down your student loans, you may not understand the rejection. A letter outlining the specific problem will show you how the lender's underwriting program determined you a high risk. It may be that you are responsible with payments but you simply have too much debt in ratio to your income. Knowing this will enable you to tackle that specific issue. "If you're handing over 40 percent or 50 percent of your earnings to service your debts, that can seem like a big red flag to a personal loan lender," said Rebecca Lake of Smart Asset. "You're more likely to be considered a high-risk borrower and the lender might wonder how you'll be able to meet the new loan obligation." "Think of your rejection as a diagnostic test," Langenberg adds. "Although the news isn't what you wanted to hear, you're actually being given some very important and actionable information." Do you feel that your request was unfairly rejected? Know your rights! Sadly, there are lots of instances where a loan was refused for reasons that are illegal. Often, it's women, minorities and disabled people who struggle with this type of credit discrimination. Take a minute to read more about your right to access credit. So you already got the written explanation from the lender, but you beg to differ. There is no harm in asking them to reconsider! After all, the initial evaluation was likely done with a computer reading data and spitting out an answer. Call the phone number provided on the denial letter and do your best to get a hold of a real, live person. Have a list ready to explain the derogatory marks on your credit report or the errors. If you make a better case in writing, write an appeal letter. State your case for why you're a low risk: for example, high credit card use was only for a move, or a late payment or two were during a serious setback, such as a family member's illness. Make sure to ask for reconsideration ASAP, within days. If you wait too long, it could end up appearing as another hard inquiry and lower your credit score. "Some lenders have divisions whose sole purpose is to re-evaluate loan applications," said Rene Graeber of StreetDirectory. Use them! Loan officers are human beings with empathy and can consider your impassioned argument in a way a computer program simply cannot. Your chances of having the loan reconsidered are always greater if you can speak with the lender. Did you ask to borrow too much, or even too little? If you can borrow a different amount that doesn't negatively affect your credit utilization rate, consider that. If you have a stable income, good credit rating, and can easily afford the repayments, why would you be turned down? Many loan applicants find themselves baffled by this rejection. 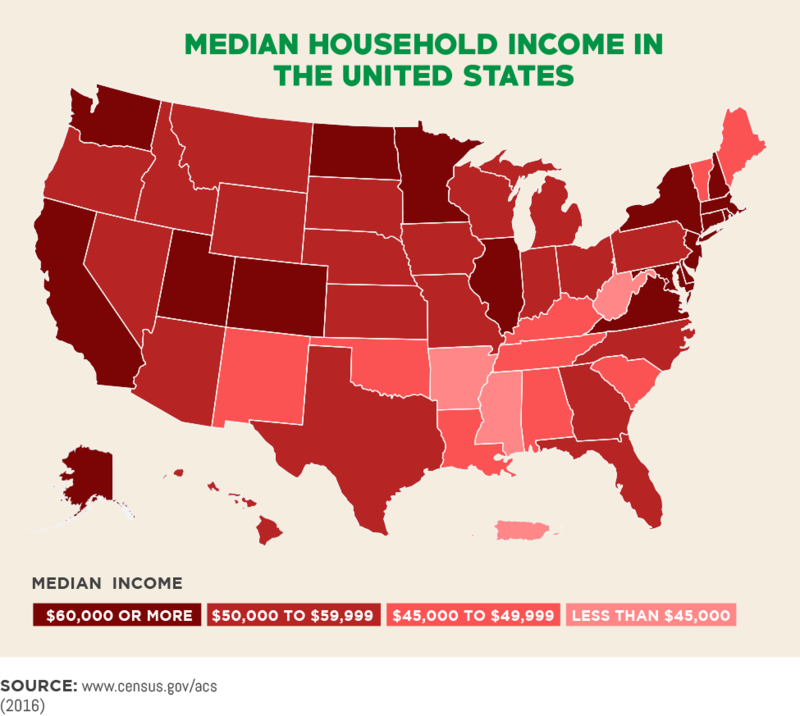 It may come down to your debt-to-income ratio. With the addition of a personal loan, lenders may see you as spreading your income too thin. Take a good, hard look at the amount of money you requested from the personal loan. Does your credit history support taking on a debt that large? There may be ways to wait, pay down other accounts, or pay them off, and borrow less on this unsecured loan. You can also determine the standards a bank has for a personal loan of that amount. "If it is due to affordability, ask exactly how much more income would you need," said FargoFinance. "Every lender is different, so that means every affordability calculator is different." For example, did you apply for a $15,000 personal loan to consolidate credit card debt, when you could have made progress with just $10,000? Now it's time to turn the microscope on the lender. Just how much research did you do before applying? Just like you wouldn't buy a car from the first dealer you went to, you shouldn't necessarily "buy" the first loan from the bank you visit. Lenders vary as much as individuals do, and have different sets of standards. So if your personal loan has been rejected, look at the lender's criteria closely. "Some lenders also look at your education level, employment status, and career path," said Louis DeNicola, of the Clearpoint blog. There is danger in using these criteria. Education level is not always a predictor of financial stability, especially in today's economy. Nor is a career change a sign of high risk. Many people found new careers mid-life after the economic collapse, to put them on a stronger financial path. So, if you have been denied a personal loan, take the extra time to look at several different lenders before you re-apply. A different lender can approve the same loan amount, with the same repayment terms. For example, another lender may not weigh the length of employment as heavily as others. Unsecured loans, where there is nothing for the lender to repossess if you stop making payments, are harder to get for that very reason: they are unsecured. When you can back up your personal loan application with an asset, you're in a much better position with the lender. These are called secured personal loans. In addition to having an easier time being approved, terms improve as you add collateral. "The lower risk associated with a secured loan often results in a lower interest rate than an unsecured personal loan would carry," said Elyssa Kirkham of Student Loan Hero. When you promise your possessions as collateral, it makes you a better candidate for a loan. What lenders truly want is their money paid back. They don't want to take you to court or deal with your forfeited truck or house. However, your possessions can be used as a show of good faith. So what are some examples of collateral that can be used to enhance your application? Car, Truck, or Boat – This is by far the most common asset used to secure a personal loan. If your car is paid off, or you own a large percentage of its value, you can borrow on that equity (what the car is worth, for example). The amount of the loan will vary depending on your credit score, your borrowing history, and other factors, but often personal loans secured by a vehicle can be used at 100 percent of the vehicle's value. Keep in mind this is risky, and weigh the cost of carrying full coverage insurance to protect the asset. A vehicle should only be used for a short-term loan, as well. Cars are depreciating assets, and you don't want to end up owing more than the car is worth at the end of your loan repayment schedule. And if your financial life takes a hit, like a job loss or major illness, you could lose your car. Savings/Investments – A lot of us have savings accounts that can be easily used to back up a loan. Lenders love cash accounts because they are easy to value. Of course, if you have savings, it would be easier to use that than take out a loan, but some people are wary to touch their emergency fund. 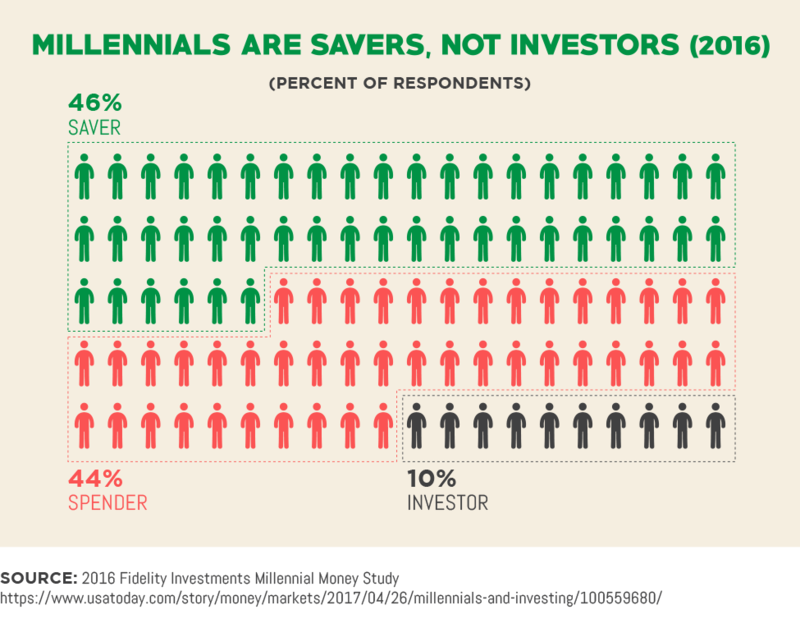 What's more, you can continue to accrue interest on your savings account and still dip into it while it remains your collateral. Any kind of income owed to your business can be used as collateral. For example, landlords can pledge future rent payments as collateral when borrowing to buy a rental property. Small businesses can also leverage this future income. "Borrowers whose business model includes customer orders can present those purchase orders as collateral to secure the loan," said Trudie Longren of AZCentral. Longren adds that in addition, accounts receivables (loans to customers that will be repaid in the future) also can be pledged as collateral for a loan. Secured personal loans are more likely to be approved, with better terms and higher borrowing limits, than unsecured personal loans. When you think about boosting your income, it doesn't necessarily mean getting a new job or an early-morning paper route. Did you document your side hustle? If you do have a second source of income, such as a website that generates ad revenue or doing home or car repair work after hours, make sure that income is reflected in your paperwork. Most lenders will only verify the income you generate from your day job. You can use tax documents to show how much you truly make. Co-signer. Maybe you cannot get a second job due to a hectic schedule or family commitments. Adding a co-signer with a solid income can result in a loan approval. Will someone in your life co-sign? A second, solid wage-earning person on the application willing to pledge his or her income as a sign of good faith can make the difference between a big "rejection" stamp and an approval. Co-signers can be friends or family members, with good credit histories, who promise to pay for a loan if the main borrower doesn't, said Andrew Latham with Supermoney. "Co-signers are beneficial for both the lender and the borrower," he said. "Lenders love co-signers because they reduce the risk of a loan default. Borrowers benefit because they can qualify for lower interest rates and more affordable fees." That may sound simple, but it's surprising how many people don't know that paying down their debt will help them get an affordable personal loan. The average American household has $7,500 worth of debt and thinks that making monthly payments on time is a surefire way to get approved for any loan, be it personal, auto or mortgage. Lenders are looking at your whole financial picture: your income, the limits on your revolving debt and how much of those limits you are near. If you only have three credit cards but they are routinely maxed out, this reflects badly on you. Your debt-to-income ratio should be as low as you can make it, to prove you are not living above your means. Decreasing your monthly payments can achieve this, says Kevin Haney of Savvy on Credit. "You could be able to accomplish this by simply adjusting the terms of your request, by moving money around in your accounts, or by working with a settlement company," he says. Collection accounts are one of the worst entries to have on your credit report. Once the debt is paid off to the collection agency, the account will appear as "paid" on your credit report. It's not the best situation, but a paid collection account is certainly better than an unpaid debt. Loan rejection can happen when people don't ask about or don't have access to their own credit information. Not knowing your credit worthiness i.e. your credit score along with your credit history can set you up for failure. Fortunately, getting access to your credit score and your report is easy (and free). CreditLoan has a free and simple way to get your score and report with a few clicks. When you get your report, what you want to be on the look-out for are mistakes. Nothing is too big or small, including how you spell your name, your ex-wife's, etc. Whether these mistakes are long-paid debts from your financial past, or simply on-time payments being racked up as late, examine the credit reports thoroughly and dispute the errors in writing. It can make a huge difference, for years to come. Besides possible errors, take a look at your credit score, which you should note changes frequently. It's wise to keep on top of your score. Most credit accounts report changes – including loan payoffs and on-time payments – to the credit bureaus often, once a month or every six weeks. "Each creditor adheres to its own schedule," according to TransUnion, one of the three major credit bureaus in the United States. "This means your credit score is usually in constant flux. It can change within days—even within hours—as different accounts supply information about your credit activity." It could be that your score has improved since you last applied for a personal loan and now. Credit reporting errors aside, it could be a lack of information that worked against you. Improper documentation can lead to a loan denial. "For example, if you say you make $100,000 a year and a call to your employer reveals that your annual salary is $55,000, that may lead to a rejection," said Craig Berman, a writer for the personal finance advice site, Sapling. The extra money may come from other sources, so you will need to provide proof of your total income, such as W-2s or 1099 forms. A simple step to help make sure your request for a personal loan is successful is to make sure that what you say on the loan application i.e. your income, debts, and your basic contact data (even your name!) match your credit report. Remember, being refused a personal loan is not a permanent problem; rather, it's a temporary setback. Take control of your financial life and contact the lender to see where your application didn't meet the mark. Which of these things did you find the most surprising or unexpected?